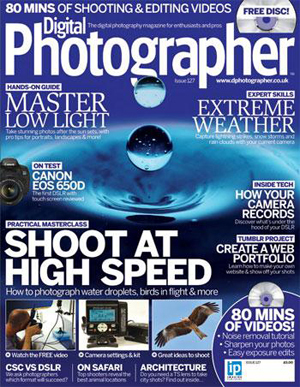 Digital Photographer Magazine (Issue #127) featured me in a piece on extreme weather photography. I discuss various extreme weather shooting and safety tips, as well as my most intense storm chase experiences. Click the magazine cover above to view the article! Channel! Simply click the button below and you're done! Media outlets: Looking for extreme weather video for your production? Head over to my Stock Footage List to view my entire archive spanning the years 2003-2017. Email for licensing rate quotes. My stock footage list also features dozens of Quicktime time-coded screeners ready for download! All photos & videos are © 1998-2018. No reproductions of any kind may be made without written authorization.